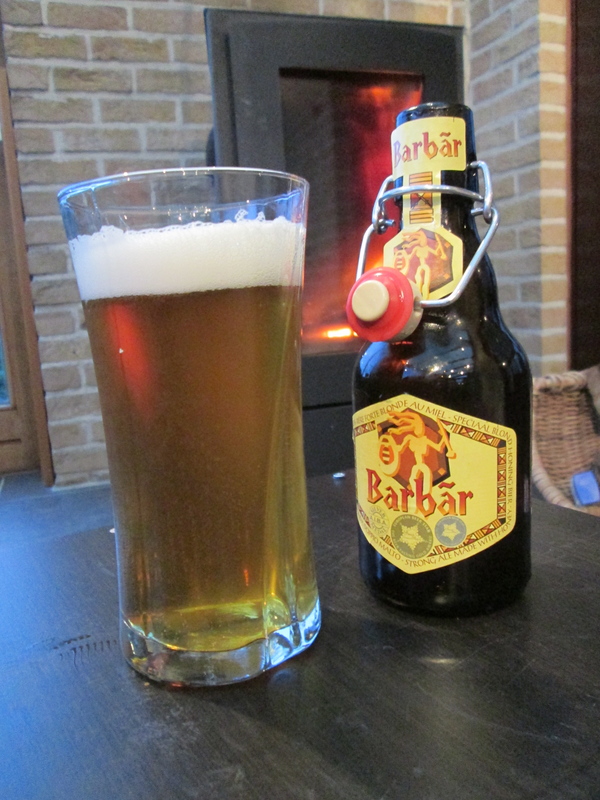 The second beer I’m displaying this week is another unique Belgian beer – a strong pale ale (8% abv) by the name of “Barbar” brewed in the Walloon region of Belgium. 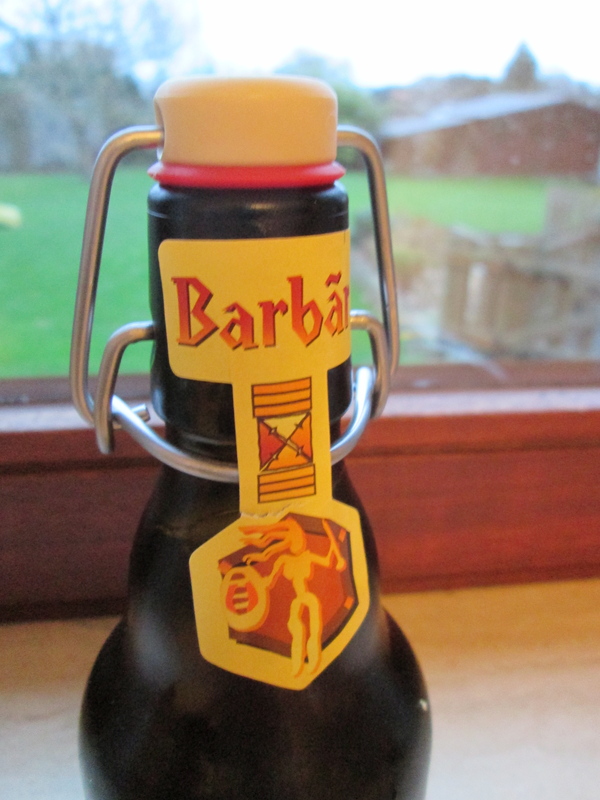 I love this style of bottle – it’s sort of ‘corked’ by a rubber stopper that is held in place by a metal contraption that sort of reminds me of a puzzle. The metal is leveraged perfectly to seal the stopper in place and probably works better than just a metal cap. The beer pours a gold color and is nice and clear. Foamy head..
First taste: sour, sharp edge.. yet tasty. 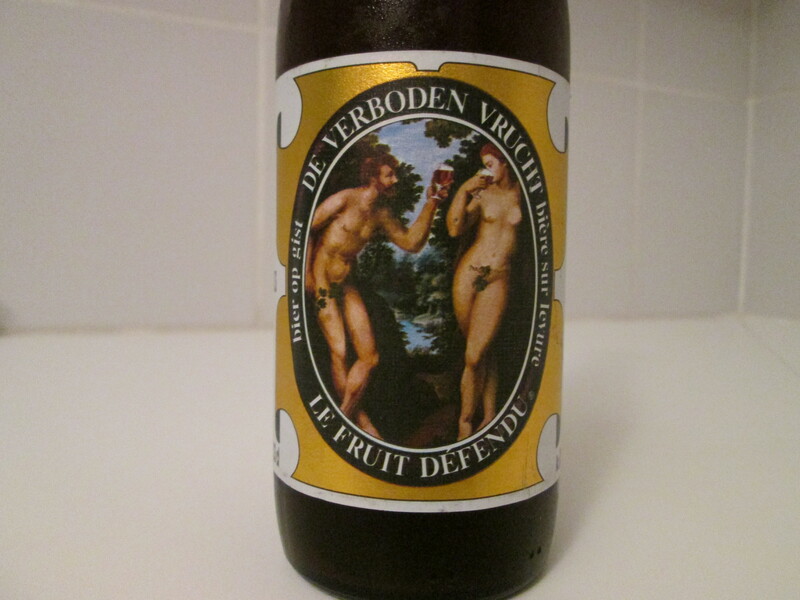 The alcohol content didn’t sway me at all from finishing this beer off quickly. Despite the sharp taste at first, the flavor really smoothes out in the end – probably thanks to the honey. I’d give this thing a 7/10 for my own personal preference, only because I’m biased towards more hop flavor in my beers. (Back home I was crazy for IPA’s). 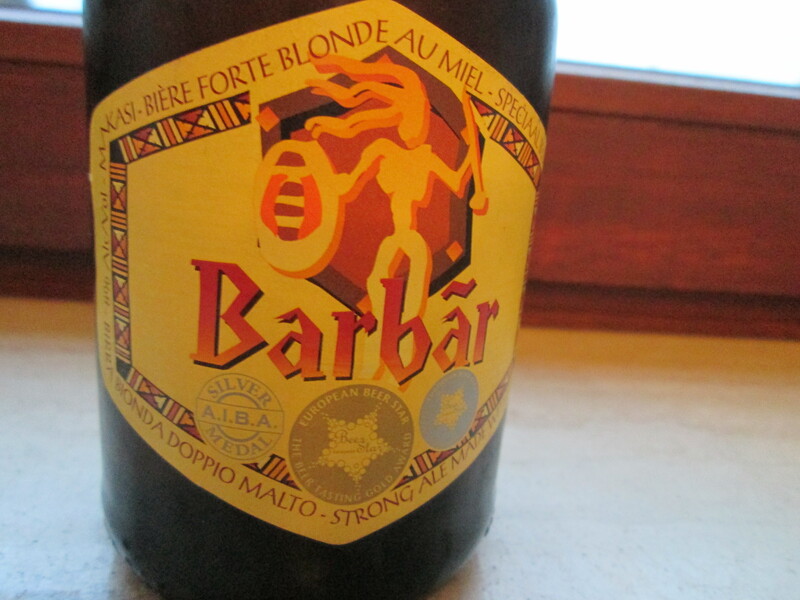 But Lefebvre’s Barbar is really worth trying – and I’m really curious how this beer turns out on tap. 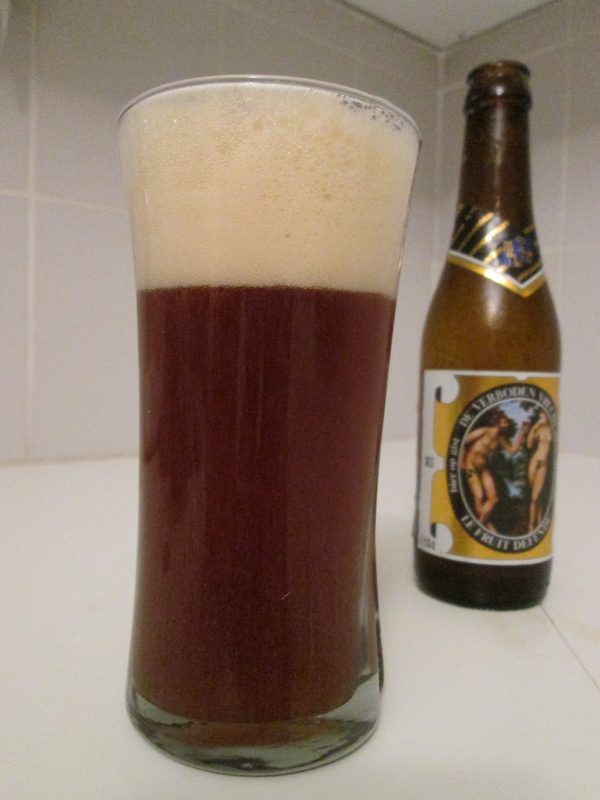 The beer pours with a dark caramel color, thick head with a swampy sediment at the bottom. I realize the glass in the photo isn’t the proper medium to be drinking this beer out of, but ordinarily it is served in a “goblet” style glass. 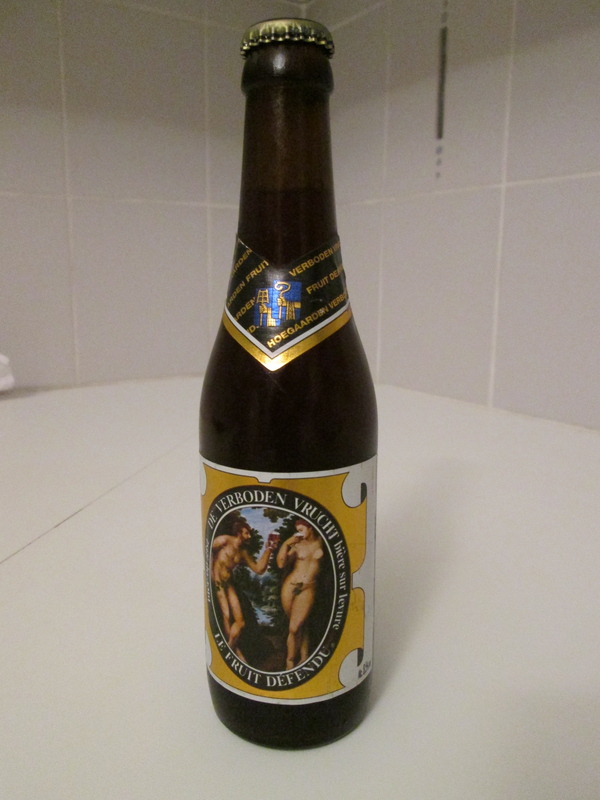 It is very light and crisp at first, and sweet. After a second, the true ale flavor and high alc. % sets in. I read a review online about this beer and some person said “ginger bread cake, plum, and raspberry scone with a clove hit” LOL that’s getting too much into the weeds for me.. Yeah the beer is a bit fruity tasting and you can pick up on a little bit of honey, but overall this is just a strong ale, and I’d recommend it. I’ll try to find this on tap and provide an update. Strong flavor… I give it a 7/10 for my personal taste preference.